Caring deeply about our children is part of what makes us human. Yet the thing we call "parenting" is a surprisingly new invention. In the past thirty years, the concept of parenting and the multibillion dollar industry surrounding it have transformed child care into obsessive, controlling, and goal-oriented labor intended to create a particular kind of child and therefore a particular kind of adult. 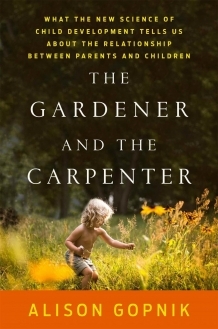 In this book, Professor of Psychology Alison Gopnik argues that the familiar 21st century picture of parents and children is wrong. Drawing on the study of human evolution and her own cutting-edge scientific research into how children learn, Gopnik shows how caring parents let children learn by creating a secure, loving environment. After an introduction by John Campbell (Philosophy), Gopnik will speak briefly about her work and then open the floor for discussion.